How can you get your team to transition from simply “knowing what to do” to actually doing it and producing explosive results for your company? It is time to create an immediate shift in your team’s performance and turn your average producers into business superstars! For nearly four decades, Tony Robbins has been using patented tools, technologies and strategies to help businesses like yours achieve their desired outcomes. 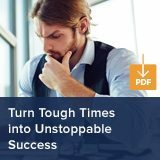 Learn the three strategies to immediately start achieving amazing results in any area of their life. Discover the five habits of effective communication. Discover the success cycle and learn how to apply it to every situation. Develop an unshakable mindset that will give them a more fulfilling life. Determine a clear target of what they want in every area of their life. 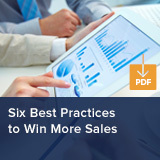 It is time to give your company the proper strategies to achieve greater results. Get started today by downloading the PDFs below and applying for your complimentary training. In just one hour, a Tony Robbins Peak Performance StrategiståÊcan create an immediateåÊshift in your sales team’s performance.